Too often you hear your friends complain about the awful auto loan they signed at one of the small, side of the road car dealerships in your area. Help them out and let them know the best place to find the right auto loans is at Massey Yardley Chrysler Dodge Jeep Ram Fiat in Plantation, FL. This is the location near me that will ensure you have what you’re looking for in the Hollywood, FL area so that you can have the drive you want on a daily basis. 2015 Jeep Grand Cherokee Laredo – We’ve admired the Grand Cherokee for many years and this is a model that’s offered with an affordable price to be a model that can be easy for you to secure the right one of the auto loans offered. Visit this dealer near me and start to drive this impressive SUV on the roads around Hollywood, FL today. 2017 Dodge Grand Caravan GT – When you’re looking for an excellent minivan to offer your family for the drive, this is the vehicle that’s offered with some of the best auto loans from this dealer near me so that you can have the drive you want on the roads in Hollywood, FL. Make the right choice and take this gorgeous vehicle home with you today. 2014 Dodge Durango Limited – Here is an SUV that brings you AWD, leather upholstery, a navigation system, a rearview camera, and three rows of seats. Make the right choice and select one of the auto loans from this dealer near me so that you can have the quality driving experience you want on the roads around Hollywood, FL today. 2016 Chrysler 300C – If you’re looking for a car that provides you with some elegant items for the ride, plenty of room, a long list of tech features, and the low price you need, you’re going to love the auto loans offered for this sedan. This car is offered for sale near me at this dealer that will ensure you can have the daily driving pleasure you want on the roads in Hollywood, FL. 2017 Chrysler Pacifica Touring-L – Take your family with you on the road in the most advanced minivan on the market. This gorgeous minivan has the modern features you want and the driving qualities that will make the ride smooth and enjoyable for you. Take a look at the auto loans offered at this dealer near me and begin to drive this minivan in Hollywood, FL today. 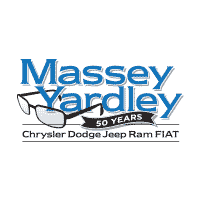 The auto loans you’re looking for are being offered at Massey Yardley Chrysler Dodge Jeep Ram Fiat in Plantation, FL. This is the dealer near me that brings you the selection of models that will allow you to have the drive you want on the roads in Hollywood, FL.